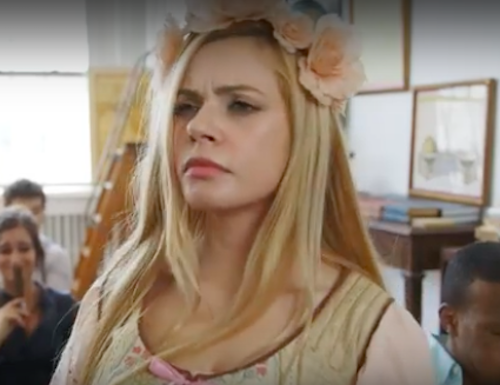 From Victorian England, to Colonial America, to 18th Century France, Period Piece hilariously guides us through the lives of menstruating women in various historical eras in short, but striking 2-3 minute episodes. Created by Liliana Tandon, Period Piece is the comedic web series inspiring us to embrace menstruation and break the stigma surrounding it. Now, in their second season – released yesterday – we time-travel in episode one to meet the ladies of 1800s Germany. Perfectly illustrated by a parody of Mean Girls, we learn that women on their periods in this era had to free-bleed into their clothes, so period stains were not out of the ordinary. And for the high school students in this hilarious episode, a bloody trend came to adorn their uniforms. But these women owned it– and certainly made me feel more confident as I reflected on sixth grade, when I bled through my school uniform quite freely. 100% of their ad revenue for season two is being donated to Planned Parenthood Action Fund during the first 48 hours. Even Gloria Steinem is tweeting about it.